Sprint has been spending money building out its LTE pipeline. The problem is that the carrier has been slowly increasing the size of its LTE footprint while it has been adding a number of new subscribers, clogging up its 3G network. Add in the number of Sprint subscribers moving over to smartphones and you have a logjam that is slowing things up for Sprint customers. While the carrier would love to spend all it can to speed up its "Network Vision" plan which takes subscribers off 3G CDMA and puts them on 4G LTE, the net new addition of 900,000 subscribers is taxing the 3G pipeline of the nation's third largest carrier. So Sprint is spending $200 million to increase capacity on its CDMA network to "accommodate more users". Sprint has already included this spending in its $6 billion capital expenditure budget for the year. Sprint is trying to get its subscribers to move from CDMA handsets to LTE models. The carrier has already sold 1 million 4G LTE smartphones. It's been a fascinating process though, as Sprint has tried to move its iDEN subscribers to CDMA (the iDEN network will close its doors next June). Meanwhile, once on the CDMA network, the mobile operator wants to move these subscribers to LTE which right now is the end of the line. By the end of this year, 150 million POPs will be covered by Sprint's 4G LTE signal, increasing to 250 million POPs by the end of next year. Sprint might soon have an advantage with its new sugar daddy. Once regulators sign off on Softbank's acquisition of 70% of Sprint, the carrier will have some deep pockets it will have access to allowing Sprint to pay for the completion of its LTE network. I think Sprint is making some smart decisions which will benefit the consumer, such as myself. Hope all goes well, with LTE and 3G. will boost and virgin mobile 3g have faster speeds from this or not? Boost and Virgin have a lower priority on the network but any improvements should help them out as well. That says a lot about their current 3G network. While AT&T and Verizon are pouring hundreds of millions into Late to make those networks as good as their 3G networks Sprint is playing catch up. This $200 is not all Sprint is investing in it's 3G network. This is IN ADDITION to Network Vision improvements and NV brings all new equipment with increased capacity to 3G as well as 4G LTE. In these last 2 years it's taking Sprint to upgrade ALL 3G and 4G LTE, which is faster than both AT&T and VZW for similar coverage areas, they are investing billions in their networks. If this upgrade is dont fairly soon or at the longest within 1 year, I think its a smart choice for Sprint. Having insanely bad 3G speed and coverage is the reason why I stay away from them. If they can at least give me Verizon 3G speeds, I will easily change to them. 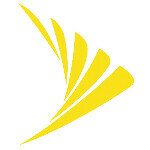 A good move for Sprint. The problem is that roll-outs are ungodly slow for the carrier. That might have to do with budgets, however. I'm sticking with Sprint the whole way...but, man, i'm tired of "almost" and then just stopping there. Please, got a email about them building my network for better this and better that but still got 2 damn bars in my house. Don't matter how they sell it, Sprint still is a crappy network. Good, because their 3G speed is almost non-existent. I mentioned their data network speeds being an issue a while back in another article and someone told me I didn't know what I was talking about. Apparently now that phone arena makes it news all of a sudden everyone has something to say about how bad Sprint's network is. I used to be a territory rep for Sprint handling indirect retail channels like Best Buy and Radioshack. I know a lot about a lot of their issues. It's not bad in all markets, in fact, Sprint's 3G runs over 1mbps+ in many markets but the ones that have issues with slower speeds are being worked on, as well as the ones that don't have speed issues as they are re-building their entire network 3G and 4G LTE nationwide. No, there used to be a lot of people being vocal about Sprint's network issues. I was one of them. 3G data went to hell shortly after the first Evo and Epic came to Sprint. At one point my 3G DL speeds wouldn't reach over 50kbps. Left and went to Verizon. Sprint's making all the right moves, albeit quite a bit behind the big 2 but they haven't exactly had the cash to barely maintain their networks, let alone make many improvements. Those guys have access to much more information about the network as a whole than the engineers. I'm sorry, what were YOUR qualifications again? If they support the west coast a bit more that would be great.